Erin Condren LOVES her some TEACHERS!! Can I just tell you how ELATED I am to be asked by Erin Condren's team to host a FANTABULOUS giveaway!!!!!!!!!!!!!! As many of you know I have been a serious Erin Condren fan for the last 4 years. Her life planners are thebomb.com and her teacher lesoon planner is just as amazing. Erin truly LOVES her some teachers. Her planners ya'll are truly amazing! Bright, colorful, fun, and electric. Right up my alley. When you write in them it just feels so happy and cheery! LOL So Erin and her team have created a new design, it's called, "Live, Love, Learn!" Doesn't she look puuurtty?!!!!!!!!! 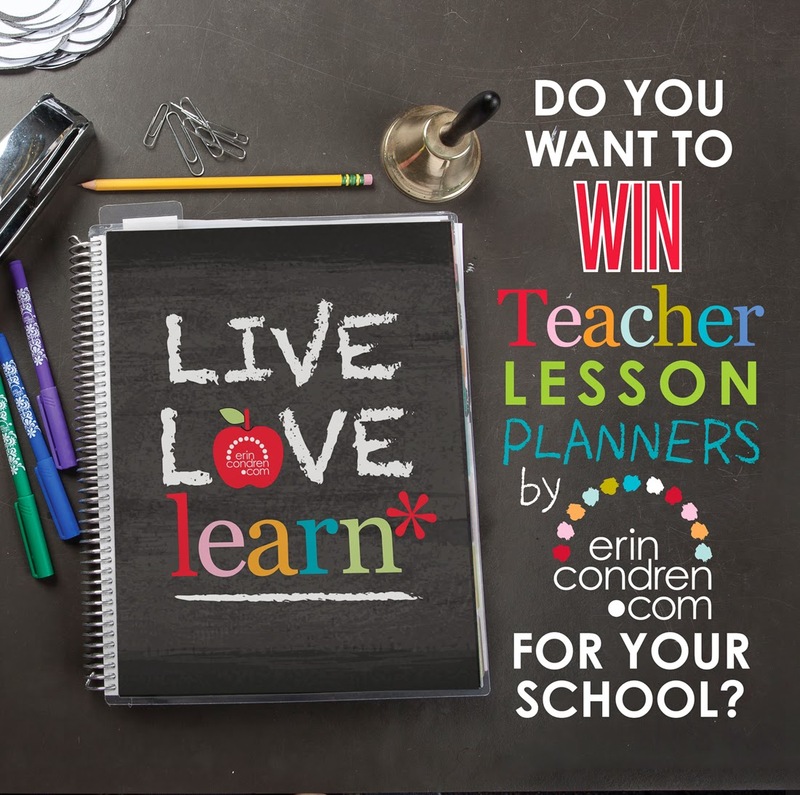 One teacher will win lesson planners for an ENTIRE SCHOOL. YES!!! You read right an ENTIRE SCHOOL. (up to 150 lesson planners) Erin and her team want to show us teachers how much they appreciate all that we do in the classroom day in and day out. So all you have to do is enter to win for your school. Best wishes and HAPPY PLANNING!! Just entered! I've never used an Erin Condren planner but I've seen alot of teachers talk about them. Crossing my fingers! !